Project Runway, your favorite fashionista extravaganza, is back for 2010 and it's better than ever! 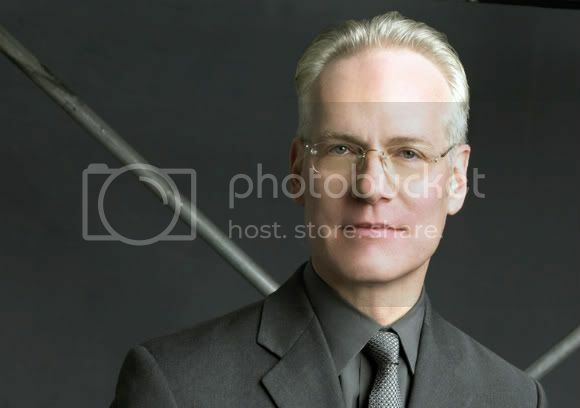 Project Runway offers up host Heidi Klum and creative master Tim Gunn along with creative visionary Michael Kors and Nina Garcia for another exciting round of high intensity, thrilling competition, This season is surely going to be amazing, and here are the top five reasons why. This season's episodes are a full hour and a half. Showcasing much more of the interactions between the designers, Tim, and exposure of the process, we get a more complete sense of the action than in previous seasons. This season is the first to showcase the work of 17 designers, the largest cast on Project Runway yet. Seriously, if this designer can stick around the competion long enough, we are certainly in for a treat of what can best be described as "Exotic." He will of course be "taking NY from the balls." This year is sure to be rife with drama as in past seasons. There is no shortage of strong personalities, including Ivy Higa from New York, and Michael Costello from Palm Springs. Of course this season is going to be chock full of progressive and chic designs, strutting down the runway on gorgeous models. Look to be thrilled by Mondo Guerra from Denver and A.J. Thouvenot from Saint Louis, MO. The first and second episodes of Project Runway Season Eight have already dropped the shock factor, with episode one ending in disaster for McKell Maddox of Utah. All the designers were unaware that they were still in competition for a place on the show, with McKell ending up with an auf wiedersehen before she was even unpacked. More shocking moments to come, stay tuned on a new night, Thursdays at 9pm on Lifetime! I'm a huge project runway fan!